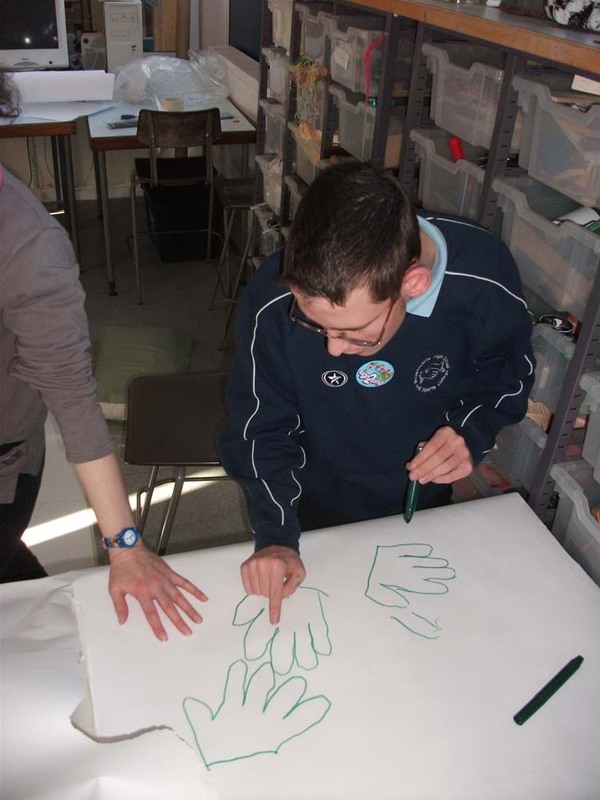 I have worked with Ravenscliffe High School and Sports College, Halifax on The Watershed Project, and on a Creative Partnerships (CAPE) Project, which involved many artforms over two days. 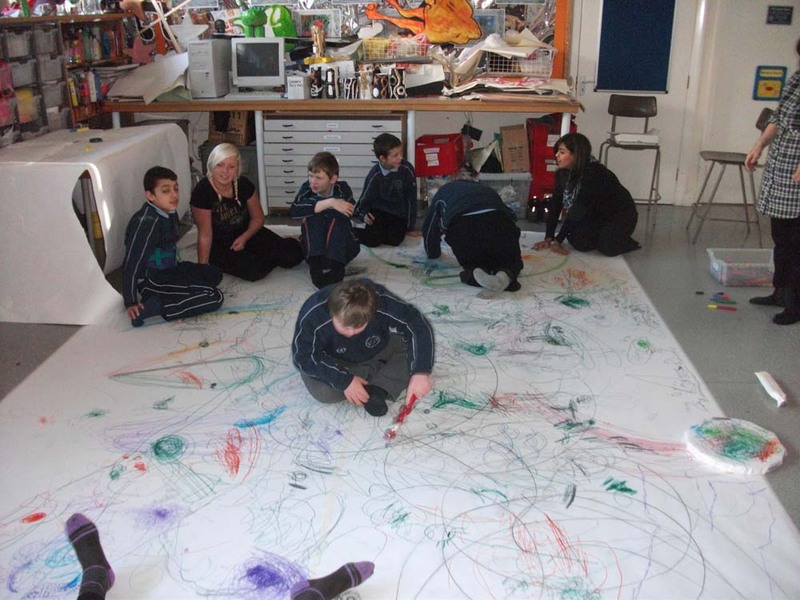 This work culminated in a collaborative, whole school, cross-artform performance. I ran a drawing workshop with 4 classes with mixed ability- here are some images from one of those drawing sessions. 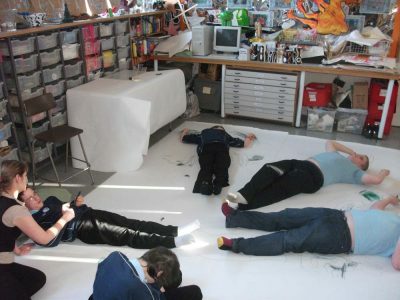 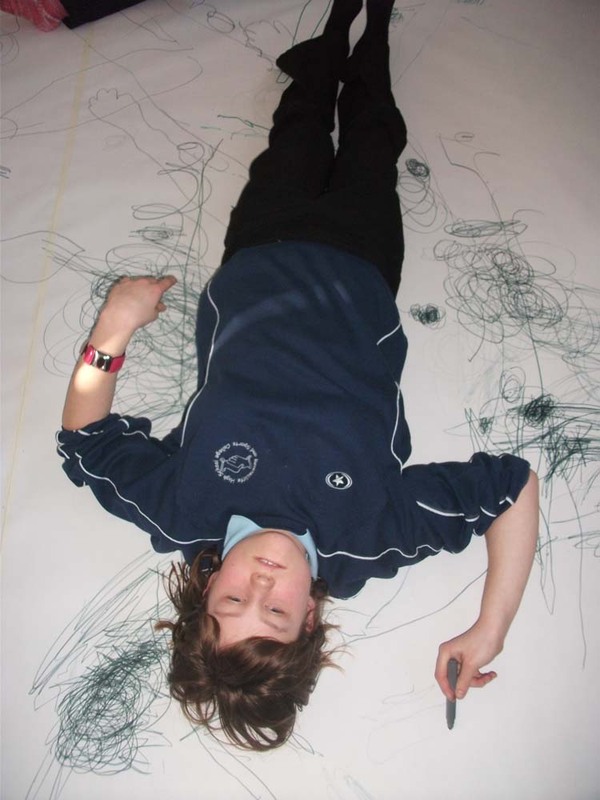 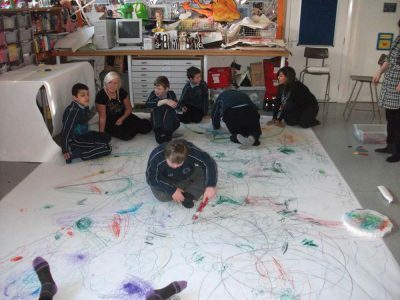 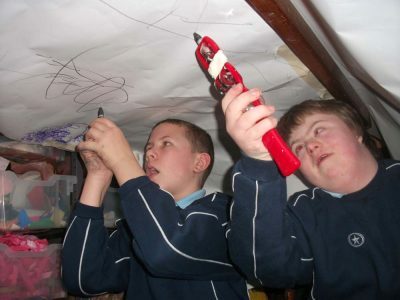 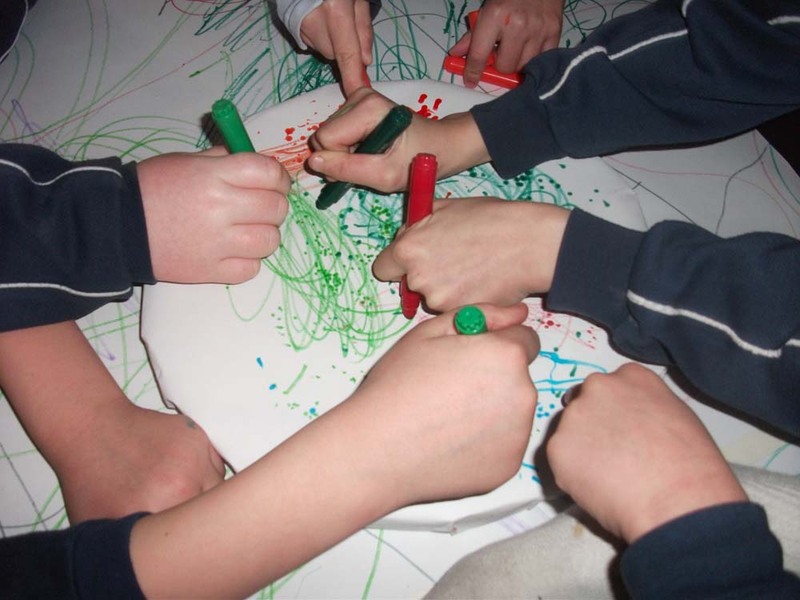 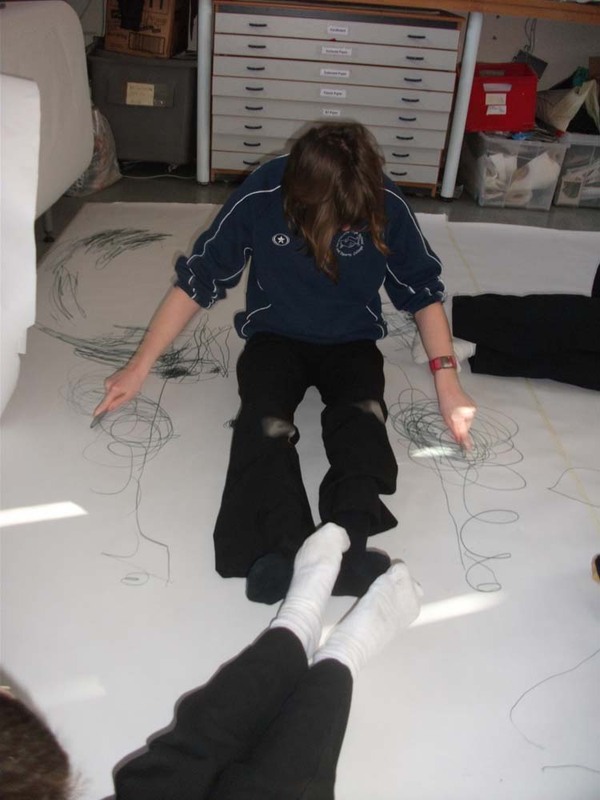 These show how a large-scale drawing activity can work well across the whole curriculum on improving physical skills like co-ordination, motor skills, body awareness, stretching, different forms of communication, mirroring, drawing round each other, self and peer critique, speaking and listening, numeracy, literacy and most crucially, creative self expression and having fun!